Hybrid Camera Revolution: Price cut - Super 35mm NEX-FS100 camcorder now $2500 w free Metabones adapter! 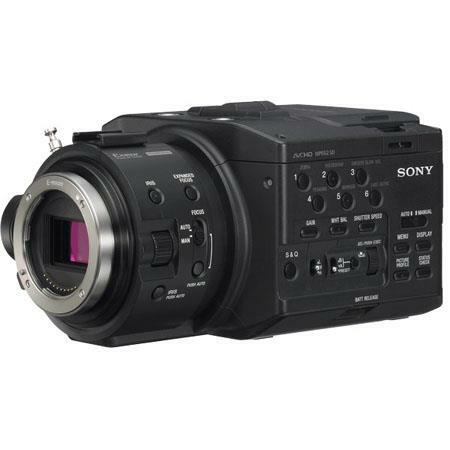 Price cut - Super 35mm NEX-FS100 camcorder now $2500 w free Metabones adapter! Sony has slashed the suggested retail price of the body-only NEX-FS100 Super 35 camcorder to $2850 U.S. list price. Retailers have marked it down even further ($2499 at Adorama with a mail-in coupon for a free Metabones EF to NEX Mark II smart adapter). This is a big deal. As of yesterday, the retail price for this 8-bit 4:2:0 camera was $4999 - about the same price as the 8-bit Canon C100. So Sony has taken about a third off the price of this camera in one day. In my view, this is a common sense move. Sony is reacting to the marketplace - shooters can buy a $495 Blackmagic Pocket Camera with 10/12-bit internal recording or a $1700 Panasonic GH4 with 4 times the resolution of the FS100 and 10-bit 4K output. A $5000 price point for this camera was unrealistic (Canon, are you listening?). That said, this is still an excellent low-light camcorder, except for its ergonomics, where the C100 is clearly better. But if your budget is below $3000, and you really want Super 35 - you may want to seriously consider this deal.